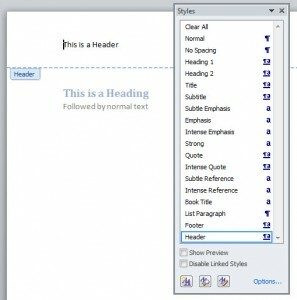 A Header Style is used for the document header. This is a piece of text that is repeated at the top of every page; it is not a Heading! It is also known as a “Running Header”. 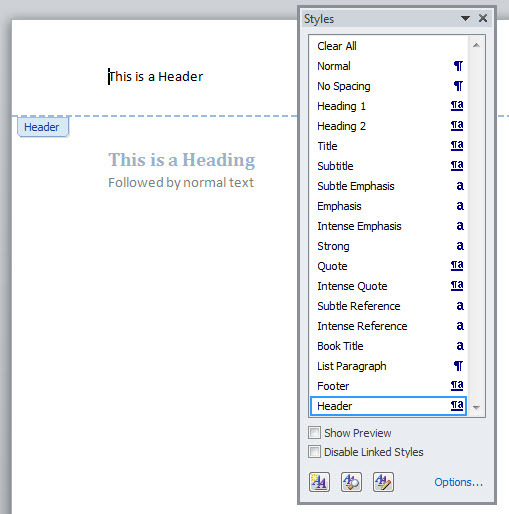 For Document, Chapter and Paragraph headings, you need a Heading Style. If you use a Header Style in the body of a document, Duxbury will not import it!